Ephemera is the term for printed material originally intended to have a limited life-span, such as pamphlets, posters, tickets and flyers. Libraries collect ephemera because it enhances information found in longer-lasting documents, giving us a more complete picture of life at a given point in time. Some of this 'throwaway' material has considerable visual appeal because it often combines text with images. The performing arts is a major subject area of the ephemera collection in the Sir George Grey Special Collections at Auckland Libraries. Material in this collection dates from the 1850s to the present, with active collection by librarians beginning in the 1970s. The ephemera collection has a wide geographic scope which is nationwide. Usage of the collection for research purposes is broad and varied; with researchers ranging from social historians and popular non-fiction authors, to graphic design students and academics. 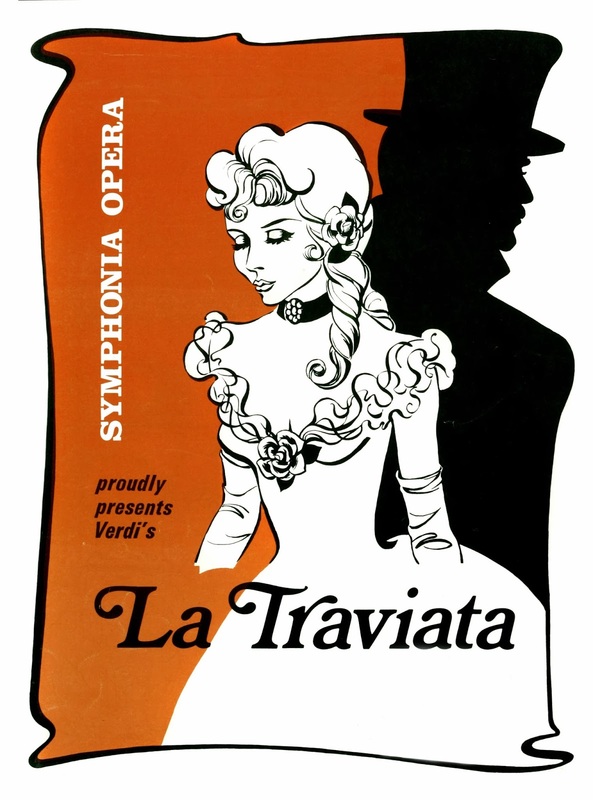 Ephemera reflects both changing attitudes in society and technological advances, as can be seen in the following examples of promotional material for the opera La Traviata from 1864 to 2005. There was a thriving theatre culture in 19th century Auckland, with theatre companies from the United States, England and Australia staging productions in New Zealand from the 1860s onwards. The programme above could be viewed as an example of how financial limitations might impact on the design of professionally produced publications. In the 1970s, investing in well-made, colour ephemera could be very expensive. By choosing one colour to add to this striking black-and-white design, there is an increased visual impact, without the expense of using a full colour image. Alan Smythe organised the first Opera in the Park at the Auckland Domain in 1997. He has also been involved in producing Symphony Under the Stars, Showtime, and Coca-Cola Christmas in the Park. 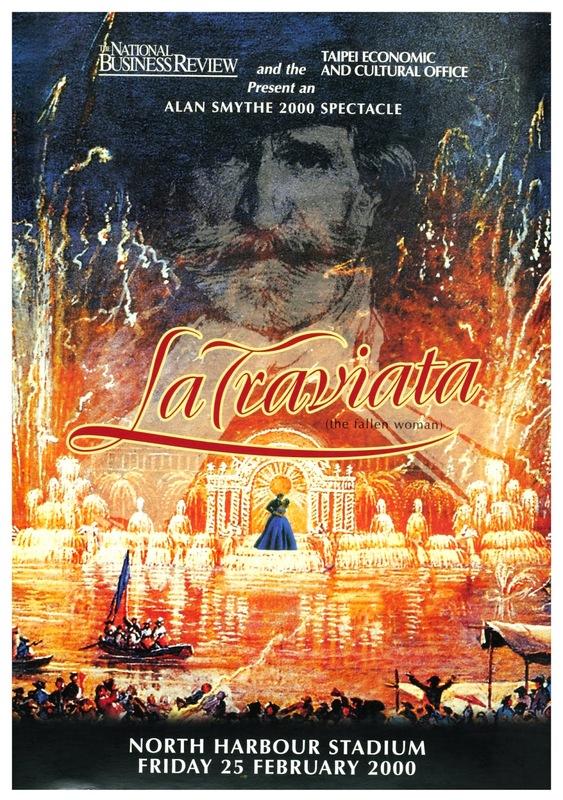 The poster above looks like advertising for a Hollywood blockbuster and indeed, this production of La Traviata was billed as a 'spectacle'. 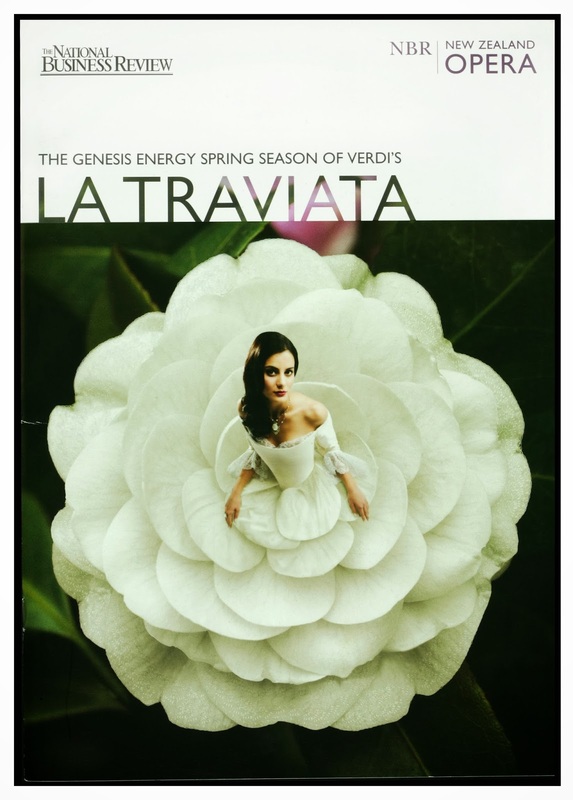 The 2005 (NBR) New Zealand Opera advertisement above for La Traviata demonstrates the use of full gradient colour photography and sophisticated design. Interestingly, the rapid progression of digital technology has not necessarily meant an improvement in the quality of ephemera. As Ephemera Librarian, Annette Hay mentions, "An amateur production from the 1950s may have a beautiful, professionally printed programme, though it might be text only, but a similar production from the 1970s could be a horrible photocopied item with patchy drawings." With computers becoming accessible and affordable, do-it-yourself promotional material starts appearing alongside better quality, more costly advertising. The performing arts material in the ephemera collection has been catalogued and can be searched for on the Ephemera Index or enquire at Sir George Grey Special Collections.